With white interior, this car is a show stopper! Just Traded !! M Sport !! Pictures and Details soon ! ! 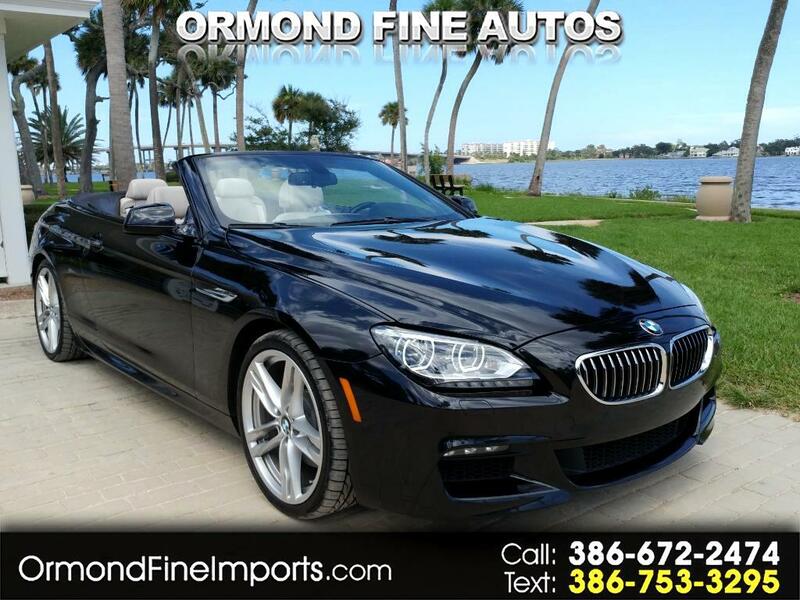 With options galore, classy styling and plenty of power, the 2014 BMW 6 Series continues as a world-class grand touring coupe and convertible!! superbly crafted interior; convertible model's versatile soft top; relatively large trunk.!! Factory Navigation !! Heated And Cooled Seats !! Beautiful Color Combination !! The 2014 BMW 6 Series coupe and convertible are long, sweeping grand touring cars that push just about all of the right buttons. They're good-looking, seriously powerful and suitable for long, comfortable journeys or simply cruising down Main Street. As you would expect, the 6 Series is equipped with all the latest technological gadgets and modern touches to make it very livable as well. Message: Thought you might be interested in this 2014 BMW 6-Series.